Condensed milk is a combination of full fat cow’s milk and about 40 percent sugar that has been boiled until around 60 percent of the liquid has been removed, so it gets thicker. 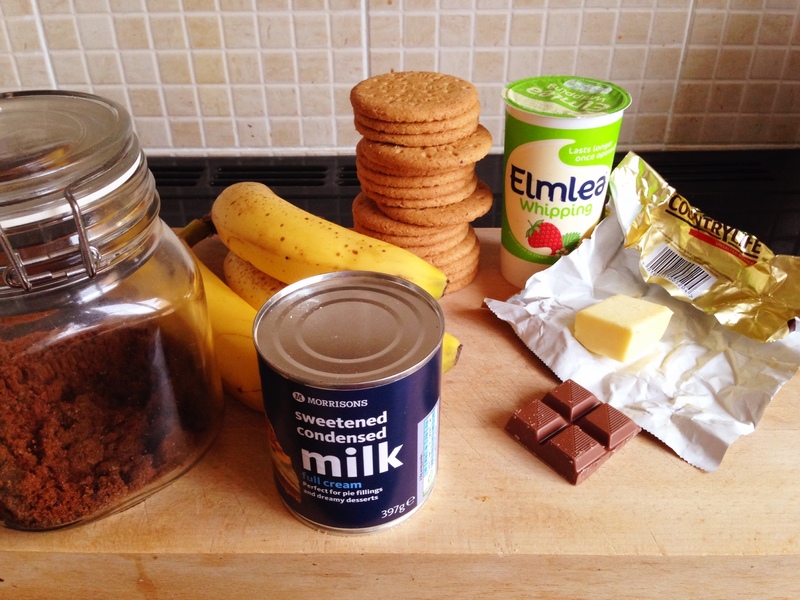 There are three basic steps to making banoffee pie. If your mini yummer gets bored quickly or has attention issues you can either just make the caramel or complete one stage each day. 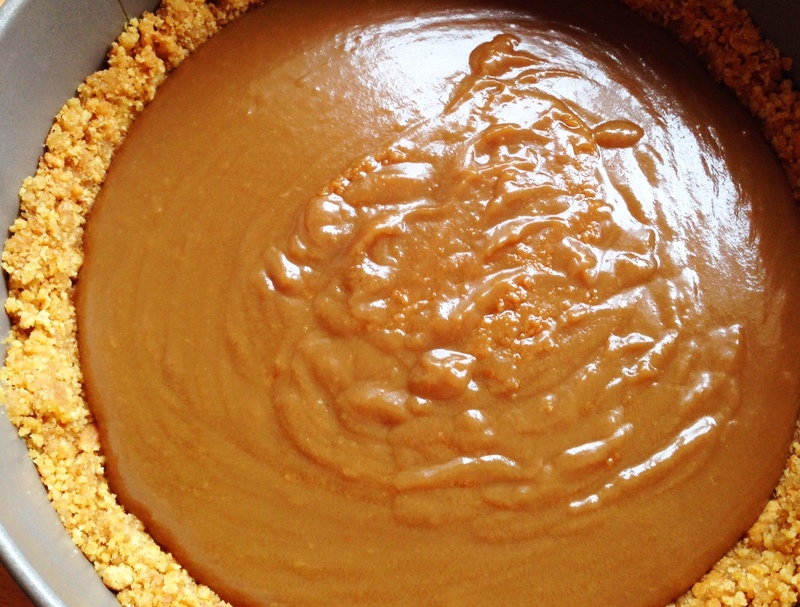 Skip the pie crust section if you are just making the caramel. 1. Put your biscuits into a food or freezer bag and seal or tie it up. Hit the biscuits with a rolling pin until you’re left with crumbs. 2. Melt butter in the microwave for around 1 minute. 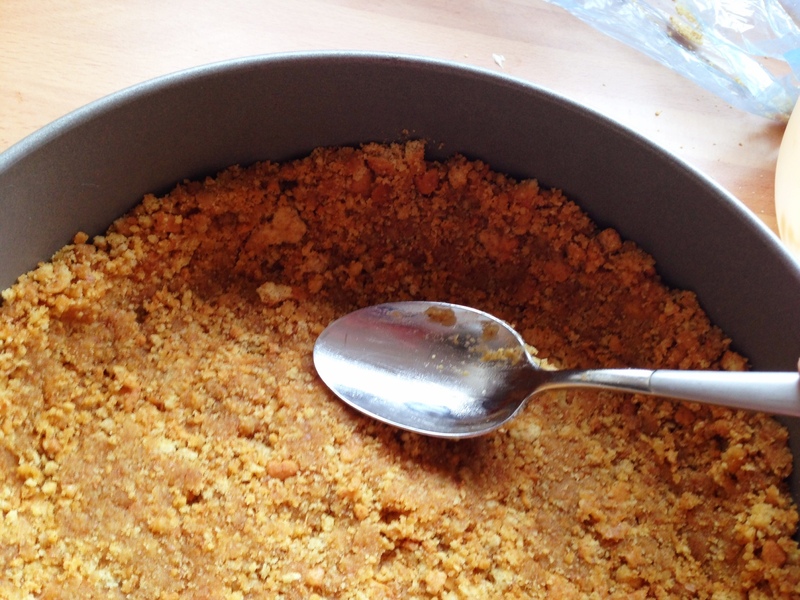 In a bowl, mix together your melted butter and biscuit crumbs, making sure you mix it well. 3. Press your mix into the cake tin, using the back of a spoon. Try and get some mix up the sides of the tin so you make a nice crust all around. Now put it in the fridge. 1. Melt the butter and sugar together in a saucepan on a low heat, until the butter has melted and the sugar has dissolved. Keep stirring all the time. 2. Add the condensed milk and turn up the heat. Keep stirring. When the mix reaches a boil (when there are big bubbles) get a grown-up to time 1 minute*. Ask them to get the pie crust from out of the fridge. 3. When the minute is up, get your grown-up to pour your mix into the pie crust. You must get a grown-up to do this bit as the caramel is extremely hot. 4. You have now made caramel! Leave it to chill in the fridge for at least an hour. * If you are making caramel dip, you only need time around 30 seconds as you don’t want such a thick caramel. 1. Keep your grown-up busy by getting them to whip up the cream. While they do that, you can peel 2 bananas and cut them into slices using a butter or regular dinner knife–nothing too sharp. 2. Get the pie out of the fridge. 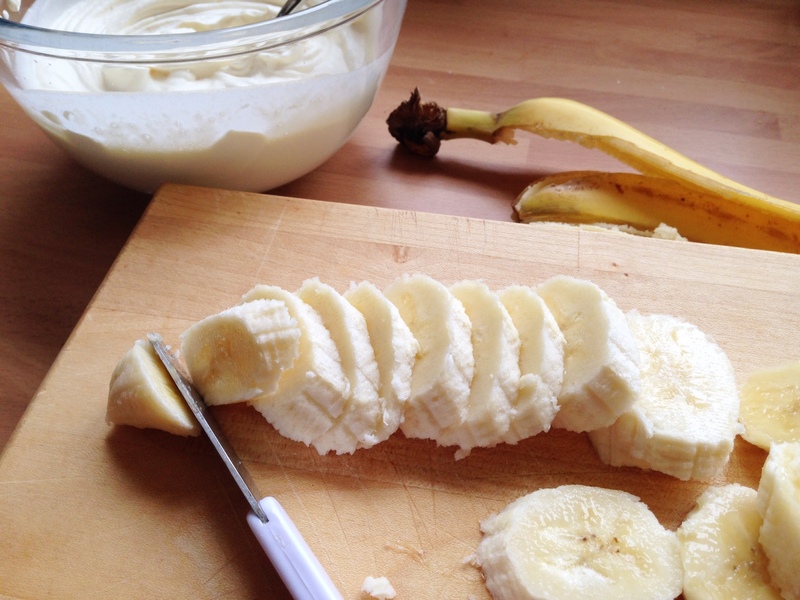 Layer your banana slices over the caramel and then cover it all with the whipped cream. 3. 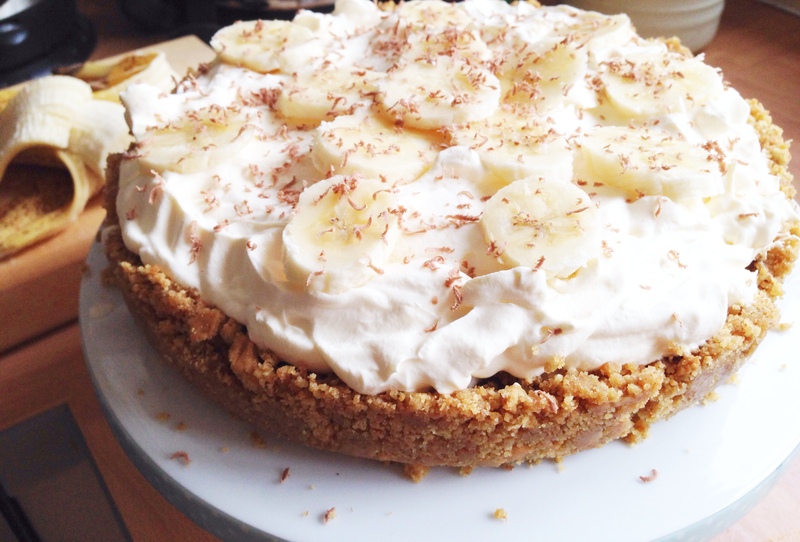 If you have banana slices left then use them to decorate the top of the pie, or else slice up another banana or two. If you wish, you can sprinkle over some grated chocolate. The Science Bit…How Does the Condensed Milk Turn Into Caramel? Basic caramel has sugar, milk, and butter in it, and is then brought up to a high temperature until it all thickens up. 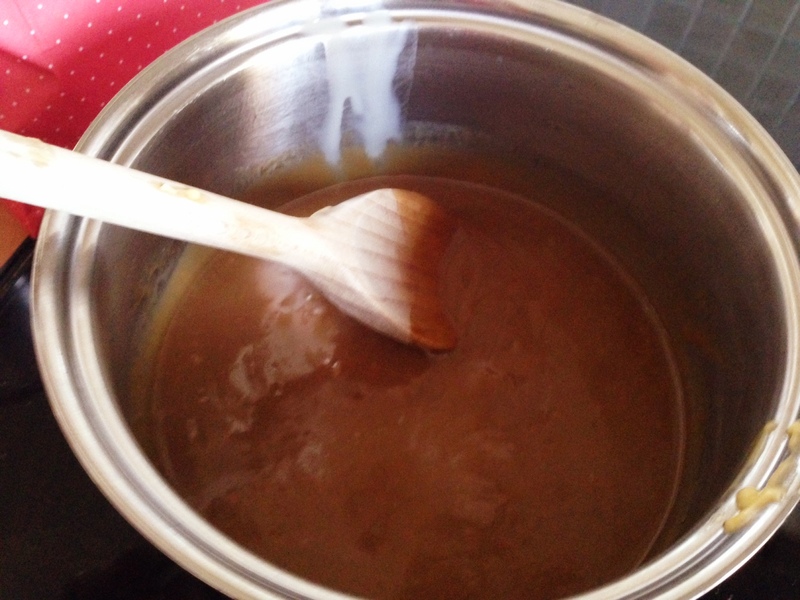 By starting with condensed milk, we already have milk and sugar combined and it is already partially thickened, so caramel is made more quickly. When you add heat to your ingredients, they undergo a chemical reaction known as the “Maillard reaction.” This means that the sugar is cooked to the proper moisture level and caramelization occurs. You know when this happens as the mixture changes colour to a rich brown. If you are wondering why I haven’t recommended boiling the tin of condensed milk in water for 3 hours to make caramel… Although that is a great experiment, your child isn’t likely to appreciate the transformation of milk into caramel using this method, as it all takes place inside the tin where they can’t see the magic happening. The method we use is also quicker, which is great for kids, and also saves your energy bills. But mostly, there are safety issues with boiling an unopened can, which is why we don’t recommend it. How did your yummers science caramel turn out? If you boiled the condensed milk for more or less time what do you think would happen? Would it change colour, get thicker, get thinner? Let us know what you think.